Made from .25-inch thick quality acrylic. 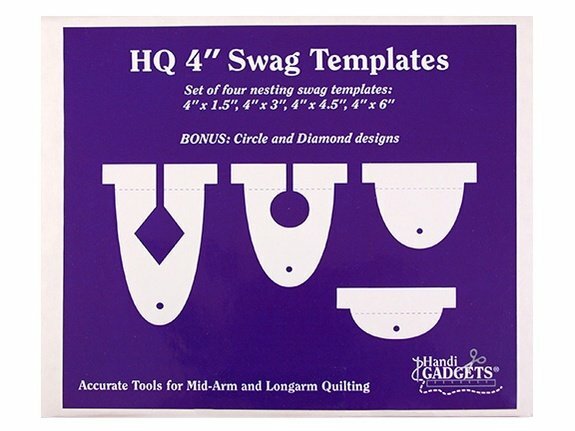 This template set includes four nesting swag rulers: 4″ x 1.5” – 4″ x 3” – 4″ x 4.5” – 4″ x 6″. It also includes bonus circle and diamond cutout designs. Packaging includes instructions for use safety tips and design ideas. Use with the HQ Ruler Base. Dimensions: 7 x 6 x 1 in.